McCaysville, Georgia, and Copperhill, Tennessee, are two blended cities that straddle the state lines of Georgia and Tennessee along a beautiful river that has two names: The Toccoa River or The Ocoee River. The Lyndhurst Foundation of Chattanooga is funding regional economic revitalization in northwest Georgia. A Georgia mountain community is forging a unique economic development partnership with two Tennessee cities through a downtown revitalization process pioneered by the University of Georgia Carl Vinson Institute of Government. 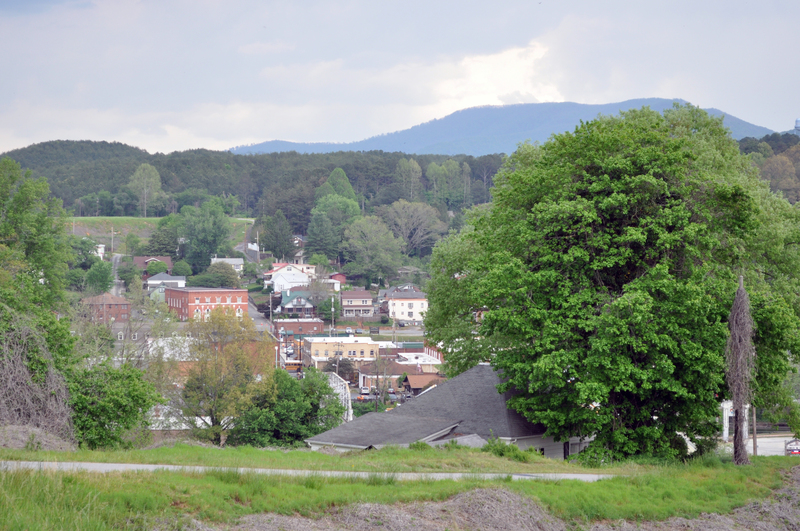 The Copper Basin Renaissance Strategic Visioning and Planning collaboration unites key leaders from McCaysville, Georgia, its twin city of Copperhill, Tennessee, and nearby Ducktown, Tennessee, in a community-driven alliance to help the region’s economy flourish. The first-ever two-state RSVP will enable the citizens, business leaders and public officials in the rural communities, which have interconnected economies, to implement a long-term regional development plan. The nine-month project is supported by a grant from the Lyndhurst Foundation, which funds community revitalization strategies, arts and cultural activities, and conservation and outdoor recreation projects in Chattanooga and the surrounding region. The RSVP is a component of the Georgia Downtown Renaissance Partnership, a community revitalization initiative with the Georgia Municipal Association, the Georgia Cities Foundation, the Georgia Department of Community Affairs and other partners. A steering committee assembled by Jan Hackett, president of the Fannin County Chamber of Commerce, officially launched the Copper Basin RSVP project on May 10 at McCaysville City Hall. “All we have to do, really, is embrace what we have and work together to figure out how we can best tell our story,” Hackett said. The 14-member committee will spearhead this summer’s public engagement process and help prioritize regional economic issues that the communities identify. Then the committee will establish action plans to achieve short- and long-term development goals. Georgia House Speaker David Ralston and his staff have worked with the Carl Vinson Institute of Government since the initial discussions about this project. A longtime proponent of economic development initiatives like the RSVP, Ralston’s district includes McCaysville and Fannin County. The Copper Basin RSVP strategy will complement public and private quality-of-life amenities underway or already in place, including the privately funded Rivers Crossing restaurant development in McCaysville. It will also leverage tourism opportunities, such as paddling and tubing on the Toccoa and Ocoee rivers, scenic railways based in Copperhill and McCaysville, and the Ducktown Basin Museum, where people can visit a historic copper mine. The RSVP also will enhance existing partnerships among the cities, all of which are members of the Fannin County Chamber of Commerce. Projects like the Copper Basin RSVP reflect the work that the Lyndhurst Foundation has done in downtown Chattanooga, said Lyndhurst President and Treasurer Benic “Bruz” Clark III. This marks the third consecutive year that Lyndhurst has supported UGA projects in northwest Georgia, but it’s the first time it has funded an Institute of Government project that extends across state lines. In addition to Hackett, members of the steering committee include Tara Akins, Copperhill City Council; Spiro Amburn, Georgia House Speaker David Ralston’s office; Christie Arp, Fannin Development Authority; Sue Beaver, McCaysville City Council; Glenn Harbison of The News Observer and a Copperhill resident; Ken Rush, Ducktown Basin Museum; Carol Thomas, Copperhill resident; and committee chair Zachary Welch and Marilyn MacNeill of the McCaysville Revitalization Committee. Ex-officio committee members include Mayor Doug Collins, City of Ducktown; Sheryl Miller, Ducktown city clerk; Mayor Thomas Seabolt, City of McCaysville; and Mayor Kathy Stewart, City of Copperhill. In the past five years, the Institute of Government has helped 16 other Georgia cities implement downtown revitalization strategies through the RSVP program.